Colorado is just a small town. While Colorado is home to many charming small towns, it is also home to large urban centers, most notably its capital city Denver, where our English center is located. Denver currently ranks as the 6th fastest-growing city in the US and offers everything you would expect from a major city, including world class museums and entertainment, a lively dining and food scene, parks, shopping, and some of the best micro-breweries in the country. Other cities to visit in Colorado include Boulder, Fort Collins, and Colorado Springs. Colorado is cold and snowy. While the Rocky Mountains boast some of the best winter snow in the USA, Colorado is not all cold and frozen. In fact, it is not uncommon to enjoy a day of skiing in the mountains only to return to a warm, sunny Denver afternoon. Colorado’s climate is dry, meaning that precipitation is minimal and the snow is generally light, fluffy, and easy to remove. 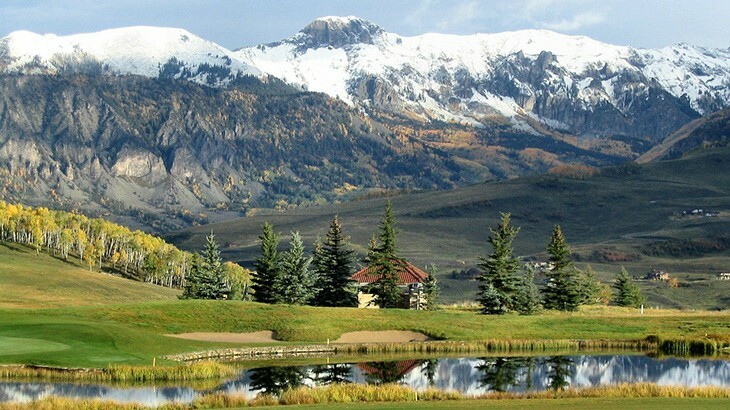 Coloradans enjoy plenty of sunshine, warm summers, and quickly-changing mountain weather. Colorado is far away from other popular destinations. Colorado’s central location actually makes it a great home base for exploring the USA. Denver International Airport (DIA) serves hundreds of direct flights to both the east and west coast, so you could be in New York City or Los Angeles in a few hours. Nearby driving destinations include the national parks of Utah, the Grand Canyon in Arizona, and Santa Fe and Albuquerque, two interesting cities in New Mexico to the south. It is difficult to get around in Colorado. Colorado has a great, easy road system and renting a car is very reasonable. You can also take buses to most major destinations from Denver; there are daily buses to Boulder and to the mountains. Denver offers several transportation options, including an airport rail, a light rail that connects the suburbs to the city, a city bus system, and miles of bike paths that connect you all over the city. If you study English at BridgeEnglish Denver, it’s easy to explore other parts of the state. Everybody smokes pot in public. In 2014, Colorado joined Washington as one of the first states to legalize marijuana use. However, don’t expect to bump into people smoking while you walk down the street. Each local municipality dictates consumption rules, but generally speaking, marijuana can be consumed on private property as long as it isn’t done publicly or openly. So there you have it: there is so much more to Colorado than you think! Its central location, excellent city life, and access to beautiful mountains make it a top choice for students visiting the USA. Interested in learning more about Colorado? Learn more here. Or, if you’re ready to start classes at BridgeEnglish Denver, submit your pre-application today! BridgeEnglish in Denver, Denver, Colorado, esl-blog Colorado, learn English, Study English in the USA, Travel tips. permalink.